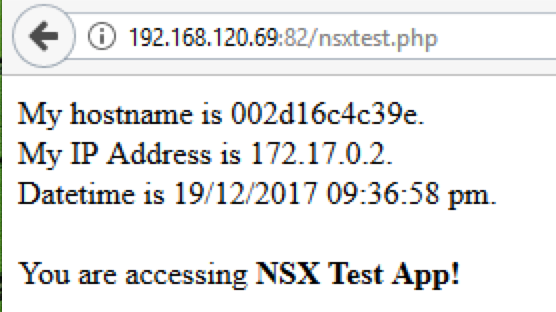 In my last post, I share the NSX Test App. Nowadays, we talks about containers, dockers and kubernetes. 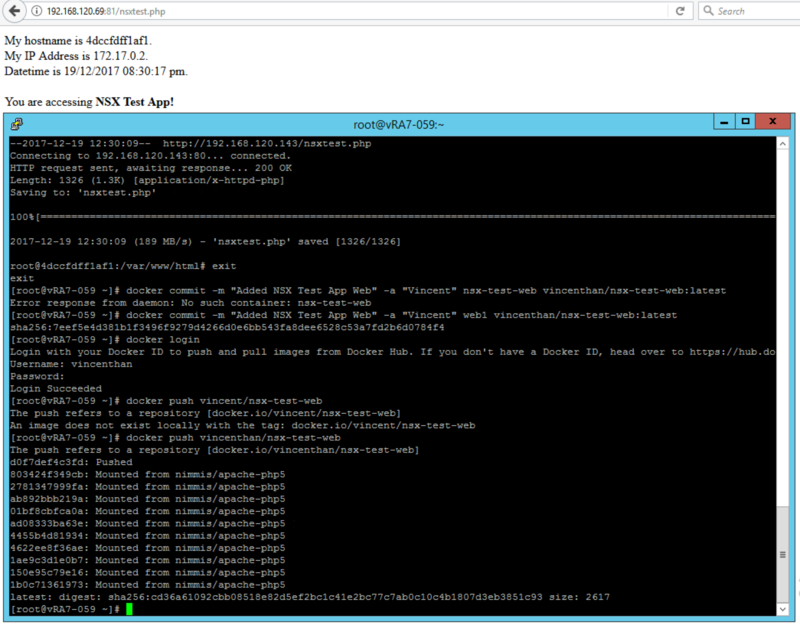 So I was thinking, why not create this NSX Test App as a container as well. 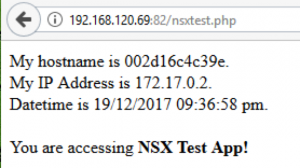 This could save people time from downloading the NSX Test App PHP script as well as setting up the apache and PHP environment. 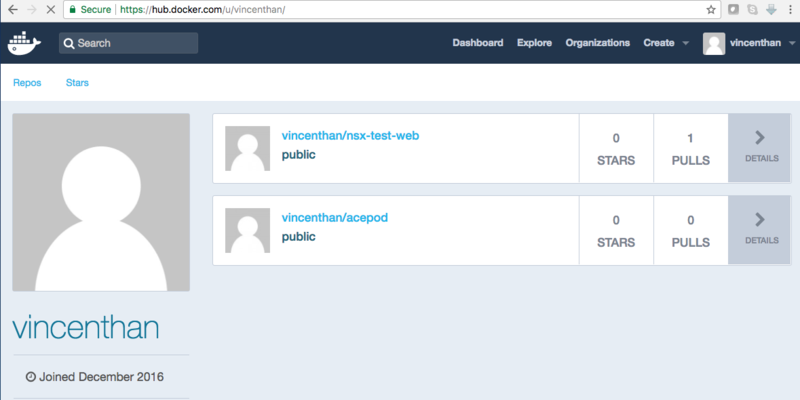 At dockerhub, I can see the is entry for the container. OK. Lets try to see if it works. Next, I will containerised the database server as well. Stay tune!